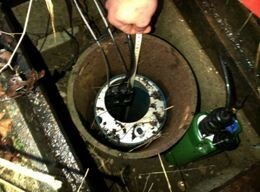 You may have seen my first blog where I explained a bit about my role as a hydrometry and telemetry officer and how hydrometry and telemetry form the foundation of some of the most important functions performed by the Environment Agency. I would now like to share with you one of my routine days in the field. After picking up my trusty Shogun, I head off for the day on one of my favourite routes. My job is to collect groundwater data from remote but important sites in the east of our area. I trundle through countless picture perfect villages, past cottages that look frozen in time and down lanes that haven't changed in hundreds of years until I come across my first site, a jet black, iron tube that runs down into the giant chalk aquifer in our area. My job for the day is to measure the height of the water table in the aquifer through a number of these boreholes, which are dotted across the countryside. I use a standard calibrated groundwater dipper - a really long measuring tape that buzzes when it hits the water and measures the depth to the water table. I plug in my Toughbook and check our tiny telemetry unit; it is slightly out from my last visit (all of 24mm over the last 3 months!) so I make a quick adjustment, record my results, and I am on my way again. This data will be processed and added to our archive where it will be used for a variety of important purposes from groundwater modelling to abstraction licensing. I have some 19 sites on my list for the rest of the day, including some of my favourite sites and one site in particular, where in the winter, the ruts and bumps can easily leave you stuck in the mud if you're not canny. It’s a lovely day, the lanes are quiet, my instruments are working and the day is flying by. I should have known though that in this job, nothing ever quite happens the way you planned it to... On the way to my penultimate site, whilst pottering down yet another country lane, I am startled by a tiny pink blur, bursting out of the hedgerow beside me before bolting off towards the main road. 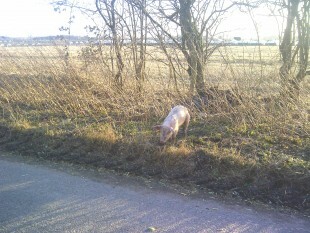 There is no way on Earth I can be so heartless to ignore this terrified little piglet so, spotting the farmer a few hundred yards up the road, we both set off on a rescue mission. After some exhausting chasing I finally lay hands on the mischievous little piglet and the farmer takes it off to be reunited with its mother. Relieved, I finish my last few sites down the road before heading for home with a clear conscience. I finish my last site for the day, which is about 2 miles from the nearest road down a dusty farm track, somewhere in Southern Norfolk, having started near Cambridge! I know what you're thinking - "He's driven a long way in his vehicle- that's not good for the environment!" The truth is, to carry out this important work we need to reach sites that are only accessible by 4x4, which is a challenge. In my next blog, I’ll show you how we’re trying to reduce the mileage using innovative technology. As a retired farmer once concerned with drainage on low peat land I do understand your useful work in monitoring water table levels to warn of floods during excessive volumes of rain . I do believe the increase in dwellings with no consideration to elevation has created more stress to them and EA which can only get worse over time. It beggars belief that this small island with a central high range down its centre with short run off to seas has problems with flooding ? Insufficient government spending is part of the problem but should annual cleaning and dredging have been discouraged to accommodate the agenda of natural habitat in preference to that of food ? I was really interested in you blog about water table heights. 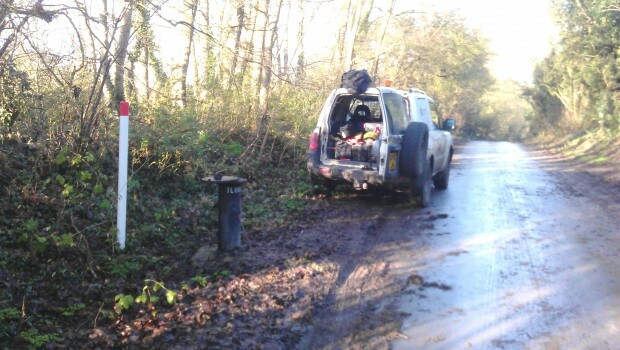 Is the a way of finding out the water table height in our village of Weston, Nr Baldock in N.Herts. I want to do some land drainage work in my garden as it is prone to flooding at this time of year. I will probably have to use a sump and pump system as our soakaway doesnt appear to be very effective, I'm guessing it's the clay ground in the area which might account for that. Knowing the water table height would enable me to determine whether a sump and pump would be effective as I don't really want to be pumping the water table for 24 hrs a day.